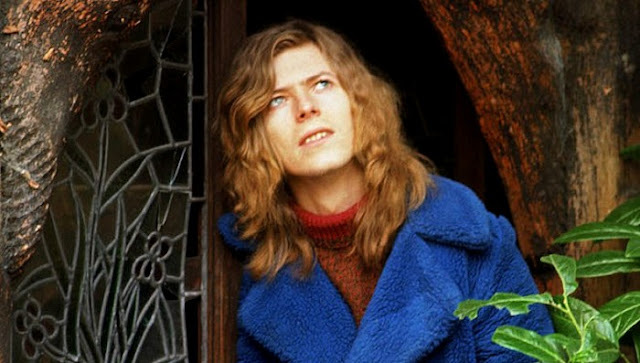 This year for Bowie week, marking the second anniversary of the great man's sad passing, I'm going to look at some of his songs as interpreted by others. His influence was so humungous, it's no surprise there has been a plethora of tribute releases over the years. Not all my selections come from these. In fact many were recorded as b-sides, album tracks and various other projects. Throughout the week, I'm going to be concentrating on a particular area of David's career. Today, it's the early years. The Prettiest Star is best known for its presence on 'Aladdin Sane', but three years earlier in 1970 (and before the release of 'The Man Who Sold The World'), it was released as a single featuring the guitar work of none other than Marc Bolan. 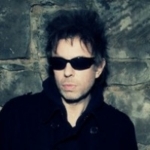 Here, it's given a faithful airing by Ian McCulloch, a world away from his work with Echo And The Bunnymen for sure. The next thing the world heard from David Bowie couldn't have been more different - the hard-rockin' 'The Man Who Sold The World'. One of its quietest moments was After All, a rather strange and hazy acoustic song. 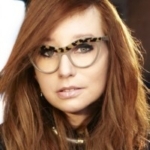 Tori Amos, who has never been shy of taking on other people's songs and making them sound like her own, did this one while recording her covers album 'Strange Little Girls', a collection of songs written and performed by men. It ended up on the b-side of the title track and is intriguing if only to hear Tori sing the words "Oh by jingo." Actually, she makes it sound brooding and ominous. My favourite of today's bunch. McCulloch knows how to pick a song to cover. Prettiest Star is a crooners song and Ian is a crooner! He puts just enough of that Folk morphing into Glam feel into it that you would think he's singing over an old musical cut. Mercury Rev go after Memory Of A Free Festival and attack it with their fuzzy, psychedelic dreamscape sound in a wonderful way. After All is one of my favorite Bowie songs. It lends itself to some wonderful interpretations. Tori goes after a dark an mystical sound and finds her space. I have to add that Billie Ray Martin's stark and ghostly 2014 version, based around some very minimalist electronics tugs at my heart. Not sure I've ever heard the Mercury Rev cover before - that one's my pick of the bunch. Two years? Jeez. McCulloch's solo stuff is very diverse...first I've heard this and enjoyed it. The Tori Amos album has its moments....it was a great idea but it suffers a wee bit from being 'samey'. Hadn't heard this b-side before. Like it. Just looked up the album again....can't believe it was as long ago as 2001.